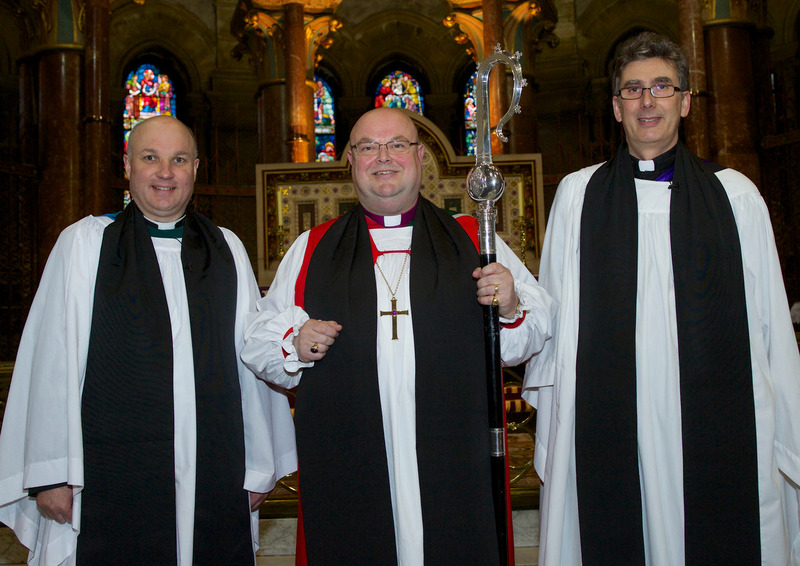 On Sunday, 30th March 2014 the Venerable Adrian Wilkinson was licensed as Archdeacon of Cork, Cloyne and Ross and installed in his seat in the Chapter of St Fin Barre’s Cathedral, Cork. A very large congregation gathered from all over the United Dioceses of Cork, Cloyne and Ross, and were joined by the new Archdeacon’s family and friends, as well as representatives of civic life. 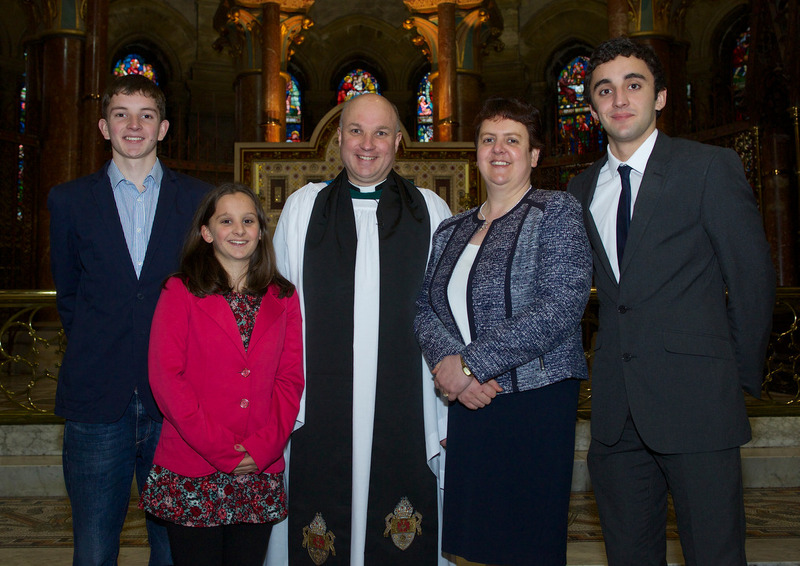 The new Archdeacon of Cork, Cloyne and Ross, the Venerable Adrian Wilkinson (centre), with his family l-r Darren, Emma, the Archdeacon, Mrs Jacqui Wilkinson, and Gary, following the Archdeacon’s licensing and installation Photo: Neil Danton. The wider community was represented by the Deputy Lord Mayor of Cork, Cllr Lorraine Kingston, the Mayor of Cork County, Cllr Noel O’Connor, the Minister for Agriculture, Mr Simon Coveney, T.D., the Minister of State, Ms Kathleen Lynch, T.D., Mr Jerry Buttimer T.D., and Senator Deirdre Clune as well as a representative of the Defence Forces. This entry was posted in Archdeacon, Diocese, Licensing and Installation, People from the Diocese. Bookmark the permalink.